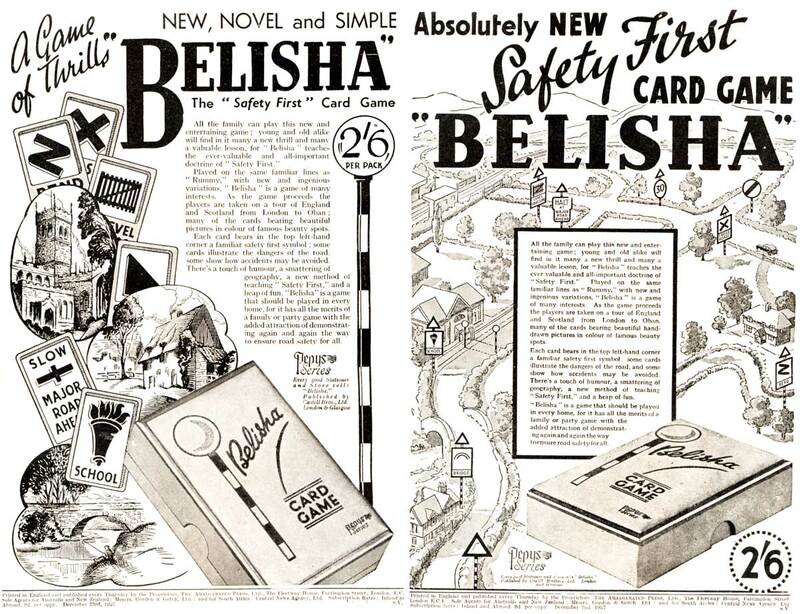 Belisha was published as a new and improved form of the universally popular game of Rummy, offering more scope for intelligent play. 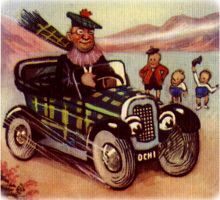 Based around a motor journey from London to Oban, Belisha was produced with a desire to make a helpful contribution to the national Safety First campaign following the introduction of Belisha beacons, designed to reduce road casualties, particularly among children. By 1951 the black and white stripes, with Belisha beacons on either side of the road, were approved as Zebra crossings. 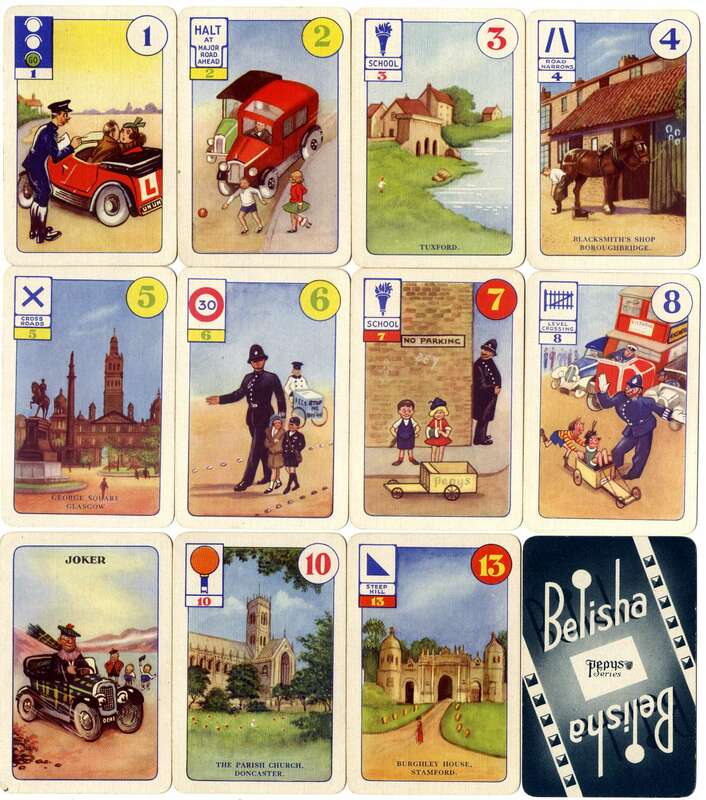 Above: 'Belisha' first published by Castell Brothers Ltd (Pepys Games) in 1937. The cards have period illustrations highlighting safety in motoring situations. 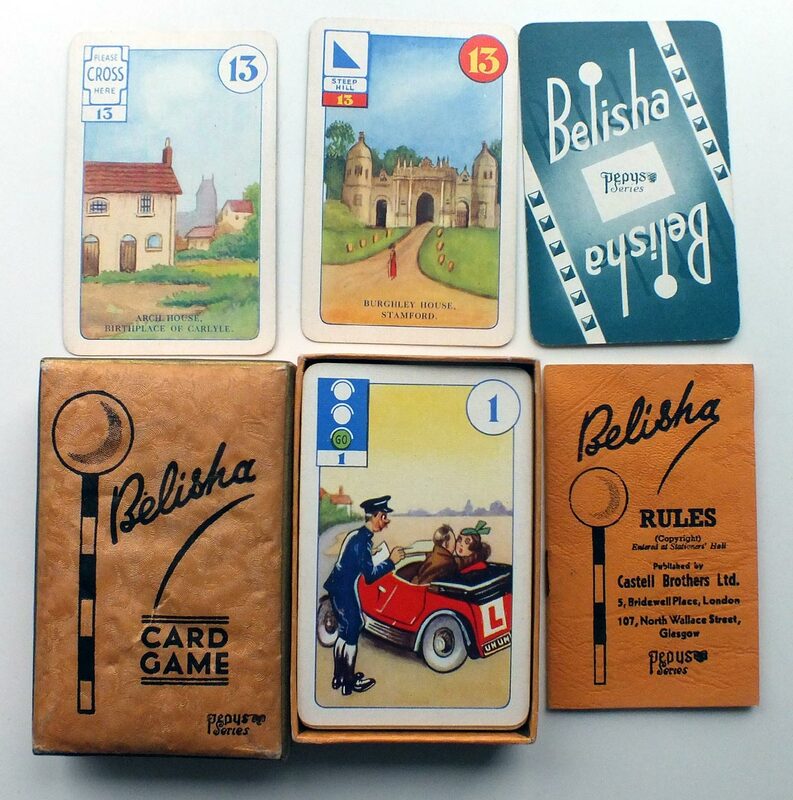 The game was named after Leslie Hore-Belisha, the Minister for Transport who introduced yellow flashing lights on black & white striped poles (Belisha Beacons) at Zebra Crossings.